here is an interesting letter which would seem to show the NEC & leadership for the cowardly underhand people they are and this is an EU funded staff member paid, I am given to understand, out of the creep Derek Clark’s tax funded allowance. This may be dud info. but it is just the sort of information that has him under investigation by OLAF, decrepid and looking ill he may be but that makes the dishonest and clearly corrupt Derek Clark no less unpleasant to deal with. It was Deadweight Derek who brought EUkip into such disrepute by betraying Britain in the most cowardly and sordid manner – yet it is this same dishonest little worm of a man who has been entrusted to manipulate EUkip’s Constitution to remove yet more of the rights and protections of the membership. We have seen some of the new Fascist style authoritarian corruptions that are being enacted already. 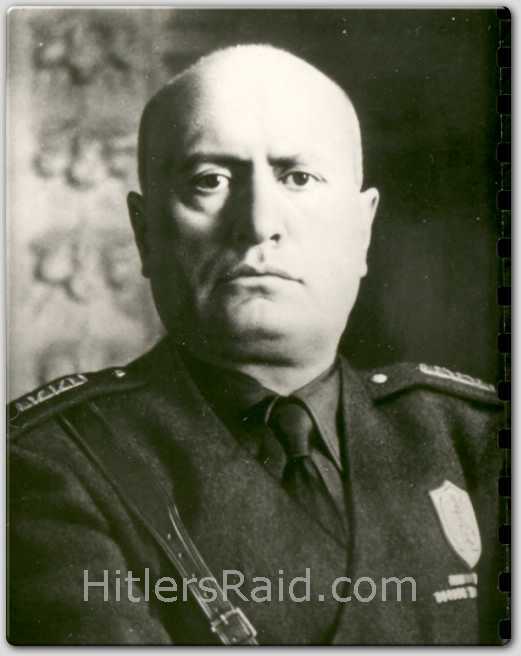 You will have noticed how the blagger Paul NuttAll – a man without ability experience or charm, has been allowed to strut around as Il Duce with his little shaven head to Farage’s draconian and duplicitous Hitler style of betrayal of EUkip members and our Country. We are given to understand that EUkip Yoof have risen to the huge number of 70 members (to quote NEC member Douglas Denny whose dishonesty and corruption has done EUkip such harm). 70 members having built WHAT on the foundations built by Del Young before Farage and his cronies did a knife job on him. Interestingly Farage’s grubby little hatchet man who, much like the risible NuttAll, was Wayne Harlin, all too willing to gain from the opportunity of corruption offered him (a child with the support of one adult will take on the world!). Once he had done his knife job for Farage he failed totally to build on the good efforts of Del Young – the web site he inheritted he and his new best friends failed to update EUkip Yoof’s web site for well over a year, despite the fact that potentially it was far far better than EUkip’s main web site which was off the shelf junk, because the so called leadership are not only incompetent but do not begin to understand the value of the internet! Not surprisingly this unprincipled little puppet of Farage, when he saw a personal opportunity ‘standing for the NEC’ he removed the site to avoid evidence of blame! Sadly he is seemingly just another parasite who sees EUkip as a vehicle for gain. 70 members really is an embarrassment but what would one expect with the leadership of such an example as Lisa up the Duff who doesn’t even turn up to NEC meetings we note! Most kids at college these days have 500 friends on FaceBook! In the main honest, decent, intelligent folk who worked hard for the party and many gave generously – can you name any 5 members on the NEC or amongst their incubuses you would want working in a position of trust for you and as the NEC & leadership now are is there truelly anyone on it you would wish or trust as a friend? Then why would you vote for them? Note in some detail how these sordid little people fight like rats in a corner to keep their snouts in their corner of the trough be it Nigel Farage, Paul NuttAll, Marta Andreasen, David Bannerman, Linda Duffy, Ma Zucherman, Douglas Denny and their odious supporters like Andrew Smith, Stuart Agnew, Mark Croucher, Annabelle Fuller, Christopher Gill, Peter Reeve, Michael McGough, Rachel Oxley, and the rest of the pond life that has so damaged EUkip and betrayed the EUroSceptic movement. They are without exception without competence, charisma or integrity – they are beneath contempt and have dragged EUkip’s name in the gutter. Dear Mr Challice, In your letter dated 17th December you provided ‘evidence’ in the form of a photocopied envelope to substantiate your allegation that I had missed the closing date for NEC nominations. My nomination papers were in fact posted in Wickham Market on the morning of the 10th December. It was sent first class and was recorded. I have a receipt to prove this. Would you care to explain how my nomination papers ended up in an envelope posted at the other end of the country? In your telephone conversation you claimed that the Post Office may have done this but failed to provide an explanation as to why they would wish to do so. You then claimed that my nomination papers had got lost in the post. In the space of a few minutes you had apparently forgotten that in your original letter to me you had confirmed receipt of them! When I asked you to check all the envelopes for a Suffolk postmark you stated that they had just been destroyed. You then became quite agitated and shouted that the question of the envelope was ‘irrelevant’ as Paul Nuttall had ‘banned’ me from standing as an NEC candidate. You then slammed down the phone. If I have been banned, as you claim, why was it felt necessary to put my papers in someone else’s envelope and produce this as evidence to explain why I could not stand for the NEC? Do you not understand why I feel so aggrieved, especially after the way I was treated over the video? Why does the party attack its own members in this way? Why can’t we be treated honestly? John West should not be concerned at this as it shows how very frightened of the truth EUkip has become – In his honesty and simple integrity John West would seem to have rather missed the point! Had it occurred to others why they are hounding John West? These are classic witness intimidation techniquest and I wonder if the Police & Judge will be as hard nosed as in The Otis Ferry Case where he is serving his remand period in Jail, which may be as long as a year – not for his various offences as charged but for having tried to intimidate the witnesses. This is an identical case! Do bear in mind that John West is the principle witness in a criminal case against EUkip and members of its staff being brought by The Data Protection Commissioner and Police – YES the case is dragging on rather and as yet not even the principles have been interviewed Annabelle Fuller (who came out with that pack of lies about Taxi driver’s mates), nor Christopher Gill whose weak and dishonest behaviour has made it clear why he was almost universally despised by The Tories and never got anywhere despite his Farther’s money – a sad and stupid figure and that was when he was at school! Then do be minded that John West is likely to be called as the principle witness in a couple of cases being drawn up by The Information Commission’s Office – again these will prove very damaging to EUkip. Also do remember that John West will probably be called in the OLAF enquiry into Titford and when it is passed back to The British Police such cases as they decide to bring against Titford and Gulleyford. Then of course he is the complainant in a case of Common Assault against Peter Reeve in his official capacity which was witnessed for the Police etc. One need only look at the collection of clowns Britain has as a Government and the failed opposition to realise that the backlog in Police investigations is at record level and the DPA for instance when I was chatting with them recently, admit it is running 6 months behind hand! Of course I have overlooked one of the main reasons that they are seeking to intimidate this particular witness – could it not be, as the NEC Minutes state, that they really have no defence in Court against his claims for refund of his deposits on the grounds of corruption and dishonestly as shown by the Returning Officer’s Report. To Quote Emile Zola – ‘J’Accuse’ – I believe there is every reason to believe in their arrogance and hubris EUkip’s leadership is indulging in plain old bullying but more worryingly I believe they are doing it as a systematic part of WITNESS INTIMIDATION working hand in glove to silence those who like John West, Dr. David Abbott, Dr. Eric Edmond, Richard Suchorzewski, Petrina Holdsworth and others before them who have queried the accounts. One is forced to wonder whether together with the huge amount of money that would seem to have been trousered by EUkip through obfuscated accounts whether EUkip is outright money laundering – the more questions that go unanswered the more questions that surface and it might account for the reason why the upper echelons of EUkip are over inhabitted by dullards and fools. Is this the very reason why these odious people are so willing to try to besmirch and befoul the reputations of others? A desparate attempt to protect themselves and their criminality by distraction and intimidation! No wonder they surround themselves with filth and liars! AND of course a plethora of fools paid from the public purse. Have they really gone that ‘Native’ and howmany are in on the scams? We note Farage NEVER fired Tom Wise and every effort was made to protect him – commencing with the outburst and bullying of Petrina Holdsworth by Mick Natrass and his witnessed temper tantrum when he said ‘don’t be f****** stupid we can’t do anything to him he knows we are all at it – how do you think we get our money’. Then Trevor Colman’s report was suppressed with which he acquiesced, all be it grudgingly but acquiesced none the less thus colluding in the criminality. We note that although John Petley went to the police to report data tampering and the FACT that EUkip seniour personell were hacking into computers the only defence they have had was to claim whenever able that John Petley was fired for tampering with computers – A LIE. I make this statement with some certainty, not because I know and trust John Petley but because I know most of EUkip’s leadership and have every reason and proof which shows that they are untrustworthy, liars, cheats and bullies.